Underwater New York is brimming with proof that creativity can transform underwater trash to narrative treasure. So we were psyched when Significant Objects asked us to team up to convert once-underwater objects into actual cash to benefit 826 National, the non-profit that tutors kids in creative and expository writing. How cool is that? 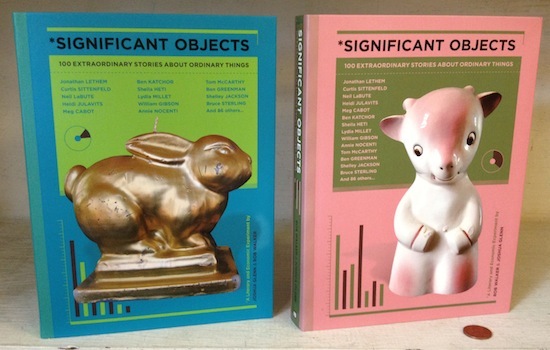 Chris Adrian, Deb Olin Unferth, Kathryn Davis, Robert Lopez and Tom McCarthy invented significance for five objects found on our excursion to Dead Horse Bay last fall and then the objects and stories were put up for auction on eBay.